grouser (Ludlow, United Kingdom) on 4 July 2017 in Animal & Insect. These creatures do seem to get washed up quite often around the world. This one is a good size. Great shot. It really looks big !! Feel sorry to see this..God knows why this is happening !!! I'd be standing well back.......funny...we don't see too many of these up here. An intereSTing form this jellyfish makes!! It looks like a grizzly bear's footprint. Great find! Very surprising to see such big jellyfish there! Be careful not to be stung! 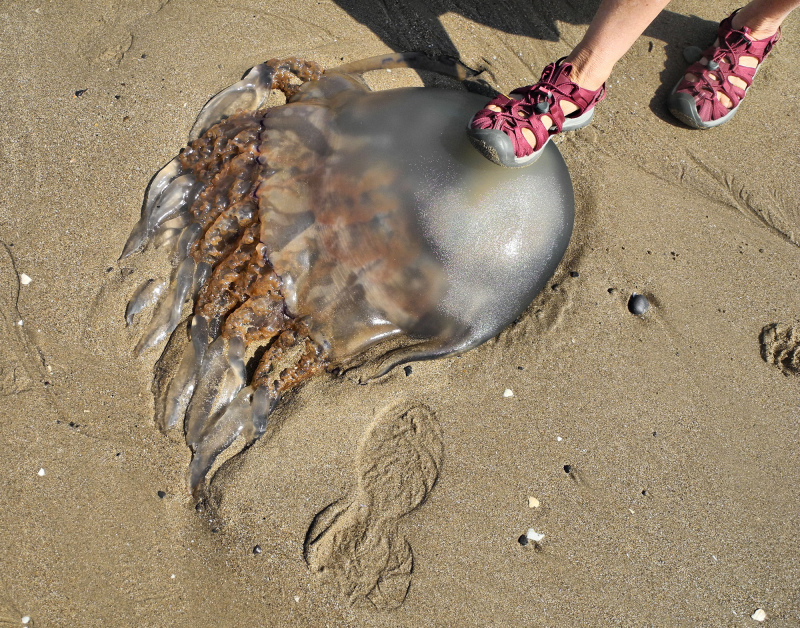 I have seen jelly fish washed up on shore but this is by far the biggest one I have ever seen! Were there a lot of them this size? A great image! Happy ST!